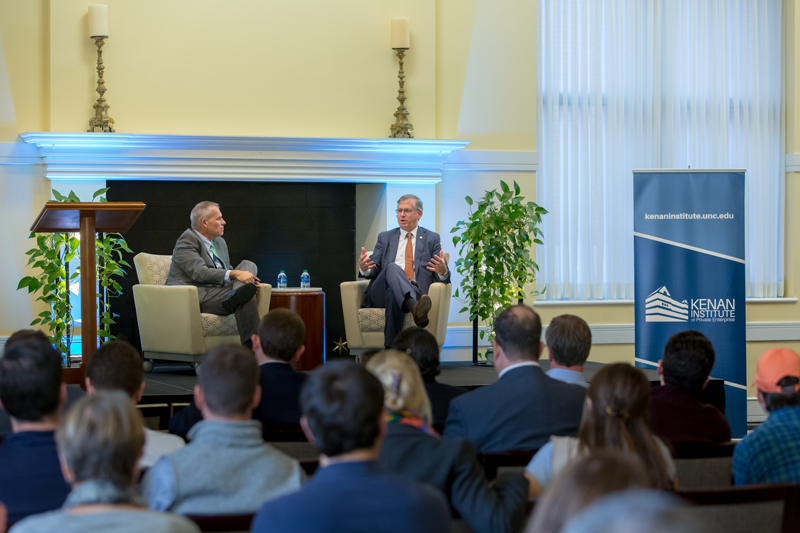 The Frank Hawkins Kenan Institute of Private Enterprise was proud to host Bill Rogers, chairman and CEO of SunTrust Banks, at the Kenan Center Monday, Nov. 19. The Kenan Institute hosted Rogers as part of its Dean’s Speaker Series, which is made possible by the Archie K. Davis endowment. 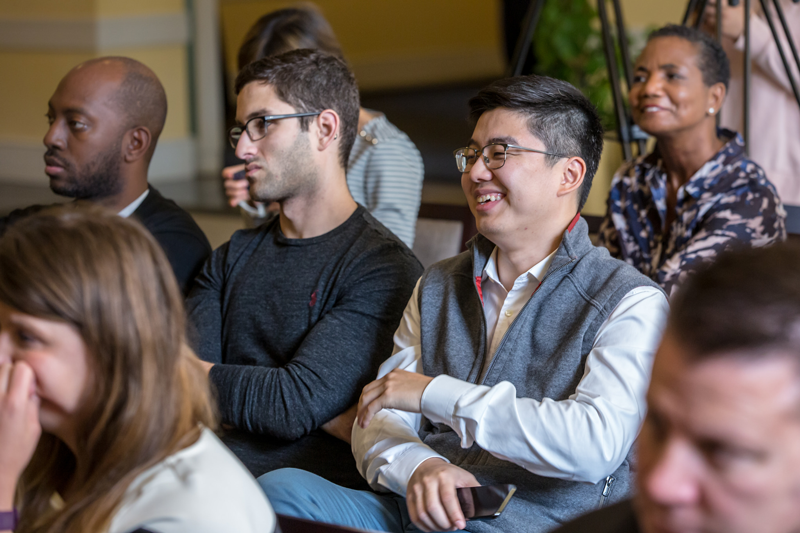 During his visit, the UNC Kenan-Flagler Business School alumnus met with faculty, staff and students to discuss issues ranging from rural economic development to emerging technologies. UNC Kenan-Flagler Business School Dean Doug Shackelford poses a question to SunTrust Chairman and CEO Bill Rogers during their fireside chat on Monday, Nov. 19. Attendees listen eagerly for insight on Rogers’ and SunTrust’s philosophy. Rogers is an alumnus of UNC Kenan-Flagler. He graduated with a BSBA in 1980. 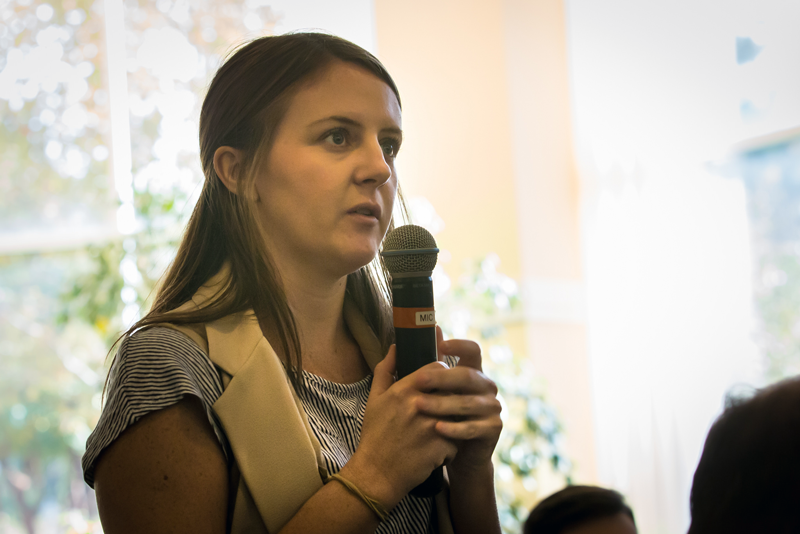 A UNC Kenan-Flagler Business School student asks a question of Rogers during the afternoon session. 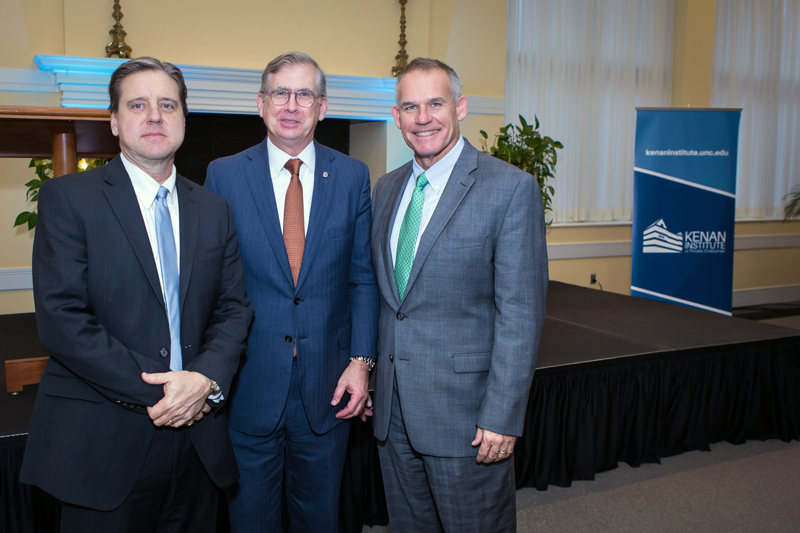 Kenan Institute Executive Director Greg Brown, SunTrust Banks CEO Bill Rogers and UNC Kenan-Flagler Business School Dean Doug Shackelford pose for a photo following the fireside chat. 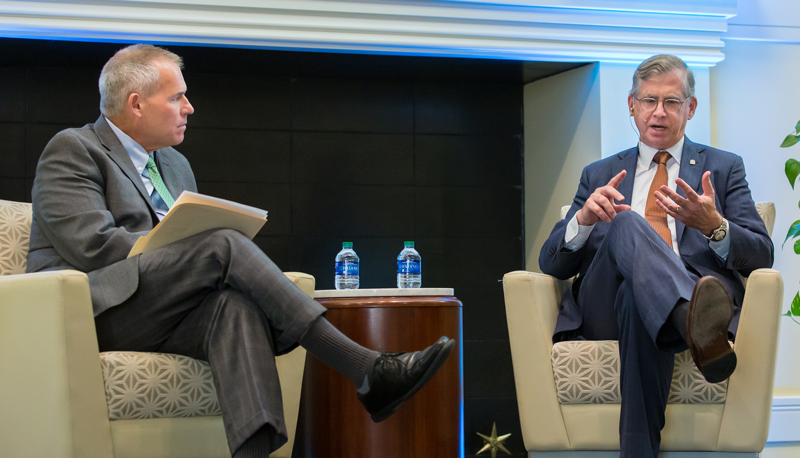 His trip concluded with a fireside chat moderated by Dean Doug Shackelford, during which Rogers shared his vision of SunTrust as a purpose-driven company dedicated to helping Americans gain financial confidence. Financial education plays a significant role in this effort, Rogers said, and that education is evolving rapidly thanks to emerging technologies like artificial intelligence, machine learning and blockchain. 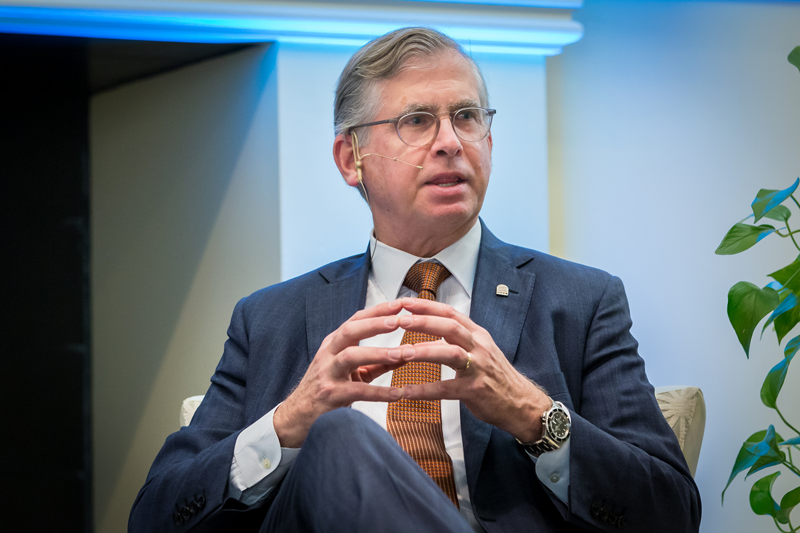 Compared to years past, he said SunTrust’s “level of investment is some multiples higher today in all these technologies and in technology as a whole” and that technology is now a “definer of strategy” on both a corporate and individual level. To learn more about the Kenan Institute’s Dean’s Speaker Series or to register for future talks, please click here.